Home / Cat Furniture & Supplies / Scratchers / CatWare Kitty Burlap Door Hanger by Ware Mfg. CatWare Kitty Burlap Door Hanger by Ware Mfg. CatWare Kitty Burlap Door Hanger by Ware Mfg. is the perfect natural fiber scratcher that fits anywhere. 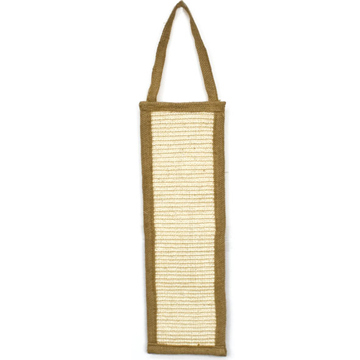 Hang it up on any door or lay it on the floor, cats love to scratch the woven jute and sisal fibers.